Since developing the Lasershark I've come up with many different uses for these boards as have others who frequently request new features and modifications. 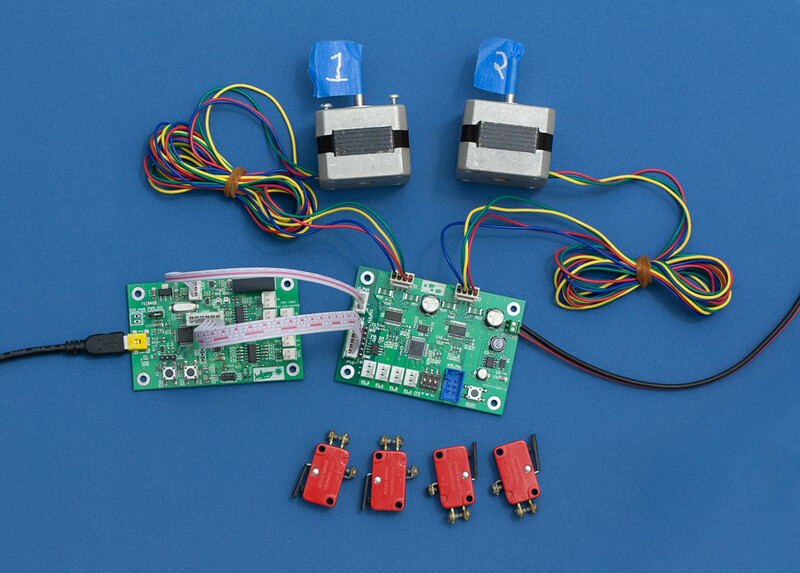 One of the more common requests I have received was to add stepper motor control capabilities. Generally these individuals were interested in utilizing the Lasershark in 3D printers however this by far was not the only reason. Given that this demand has been steadily growing and stepper motor control would be quite handy in some devices I have been planning on making (lumia wheels to accompany lightshows, laser marking systems, and yes 3D printers!) I decided now was the time to make such a board. After a few cold and rainy weekends I developed an add-on board which I call the Twostep. 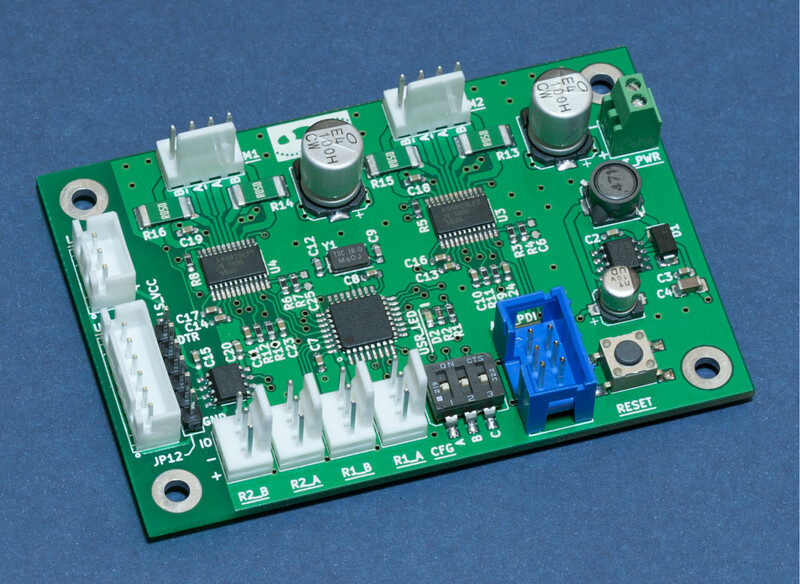 This board is capable of independently driving two different stepper motors and can connect through a Lasershark board in order to save a USB port. Each stepper motor current limit can be digitally adjust as can it's microstep mode, step delay, direction, and enable status. The board also has 4 endstop switch inputs and is galvanically isolated from the lasershark circuitry for noise immunity. As with the Lasershark this board is open source. Atxmega16e5 Microcontroller running at 32Mhz. Note: Information on how to compile and run this application can be found on the usage page. Note: Flashing instructions can be found on the usage page. Note: Do not use the KiCad that comes from the Ubuntu Repos! It is generally quite dated. Instead, use Adam Wolf's daily testing repo. All rights are retained to the Twostep and related trademarks. Available now! Please see the buy page!